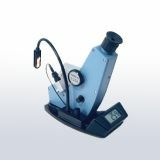 The Pro-Juice refractometer has been specifically developed to overcome the erratic behavior of orange juice by focusing on the practical handling of the sample prior to high accuracy measurement in order to achieve a measurement accuracy of 0.01 °Brix for sucrose solutions and more importantly, a reproducibility of 0.02 °Brix between orange juice samples, regardless of temperature deviation or operator skill level. 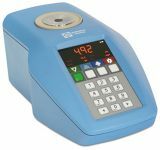 Key to the performance of the Pro-Juice is the new Xycone® flowcell chamber that is especially shaped to prevent air bubbles forming on the prism surface during rapid sample transfer. 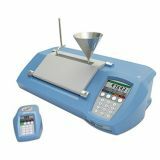 Additionally, the sample inlet is specifically orientated to effect rapid and absolute cleaning of the prism between measurement cycles, contributing to the instrument’s high measurement performance when used in the Pro-Juice mode. 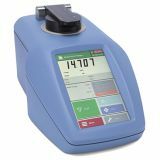 For conventional measurement of non problematic juices and for occasional cleaning, the Xycone® cell is easily removed by using the catch at the front of the cell and hinging it back to reveal the prism. Methods within the Pro-Juice tightly control analysis from start to finish. 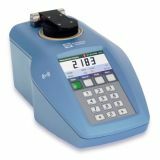 The Pro-Juice method provides on-screen prompts to guide the operator through every step of the measurement with the result only being displayed once all criteria has been met, including the critical cleaning process that prevents cross contamination occurring between readings or cleaning cycles. 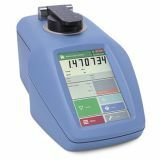 The typical reading time for the Pro-Juice to display the Brix of an orange analysis is only 180 seconds, even when the temperature deviation between instrument and sample is as high as 15°C, including sample conditioning and post measurement cleaning cycles. 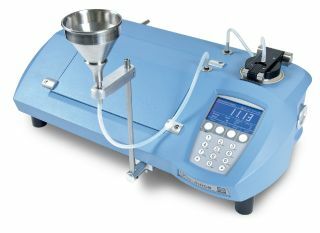 22-10 Pro-Juice Refractometer supplied with integral sample pre-conditioning system (Xycone® flowcell, peristaltic pump, Peltier conditioner), 6 leur taper stainless steel funnels, sample filters for high pulp samples, enhanced protection pack, spare filters for EPP & Peltier conditioner, tube replacement pack, interface cable (Pro-Juice to PC), instruction manual, quick-start guide, CD-ROM and power supply.